At the obvious risk of extending a metaphor to its breaking point, I think the best supervisors are gardeners who have a “green thumb” for growing other people. o They do not over-fertilize with their professional and personal experiences. o They do not over-water (drown) with excessive advice. o They eliminate all weeds. 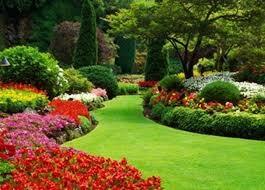 o They make certain that the garden has sufficient sunlight (knowledge resources, intellection stimulation, etc.). If these do not describe you and your relationships with those entrusted to your care. there’s work to be done and best begun immediately.